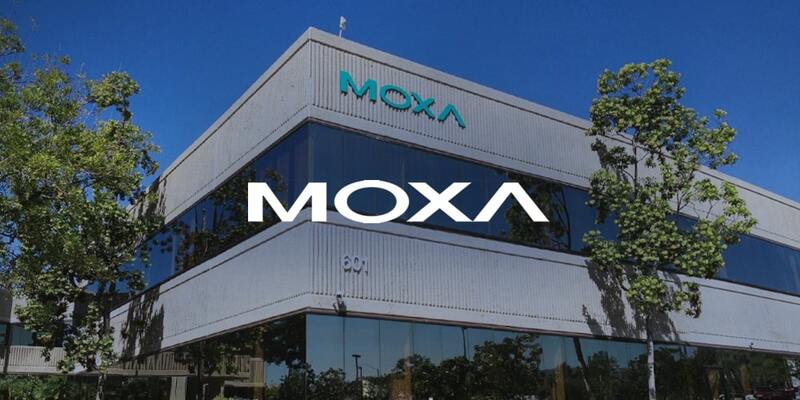 Moxa is a world-class leader in automation that provides a full spectrum of quality products for industrial networking, computing, and automation. The Moxa offices are located around the world, in The Americas, Europe, and Asia. Leslie Cutter, global digital marketing manager at Moxa Inc.
Moxa’s Global Digital Marketing Department was the first in the company to adopt eLearning. It allowed them to save time on training employees across the globe and focus more on growing their marketing capabilities. Leslie Cutter, global digital marketing manager, kindly shared her experience of bringing eLearning onboard. The mission of our Global Digital Marketing Department is to build the digital marketing, and specifically marketing automation capability at Moxa on a global scale. Not only do we market our products to distributors and end users through digital means, but we also work with internal marketing teams around the world, teaching them the basics of content marketing and social media marketing. For instance, we have classes on the content creation thought process, how to be an influencer on LinkedIn, and more. We’ve also trained our sales force to align in areas where we have cross-departmental processes. An example of this is our course on leads management. When I came on board, not many people at Moxa understood what marketing automation was, social media wasn’t used in an organised fashion, and no one knew what content marketing was. We needed to train employees around the world how to work with content and marketing automation tools. Before iSpring, our introductory training consisted of live in-person sessions from a team of three, which required travel to Europe and Asia. This was an expensive option, as it costs about $6,000 to fly to Europe with a small team — and that’s just one trip. The need for training came up quite often because Moxa highly encourages people to try new jobs within the company. As soon as employees changed job roles, or if the training was not immediately applied, they needed retraining. We were trying to build our marketing capability and train simultaneously, but every time we would get up and travel it was very disruptive. We needed to focus more on doing marketing and less on training others to work with us. Given our needs in this area, that’s how we decided to adopt online learning. Now when new marketing people are coming to Moxa, we assign them the training on the iSpring Learn portal, and they take it on their own time and in their own time zone. It’s very convenient for everyone. It’s the same with people who move around the company coming in and out of marketing roles — we don’t have to book another flight to train someone new in person. We just give them access to the system. Plus, we have records of what people have taken and if they’ve completed the courses. So we can follow up with management if we’re not seeing people finish their courses. Now there are 310 learners on our iSpring Learn portal, 43 courses and 11 learning paths. Below are a few screenshots from our training courses. We are also always adding new classes every year because we’re trying to grow our capability. We mostly rely on the e-training. For our own team, when we have to do some pretty intense software training, we do that in person here. But that’s only a handful of people — for everything else we rely on the iSpring software. Once we determine that we would like to communicate a topic through an online course, and who the target audience is, myself or one of my two senior members of the team will start building it in PowerPoint. Then we will review it amongst ourselves in PowerPoint, and once we’re all lined up, we’ll go ahead and build the course with iSpring Suite. We have a little recording studio — a small room with a microphone and everything set up to create the voice-over. We like to do that because it makes learning experience a little more interesting. In addition, we always assign a test. It is easy to build quizzes with iSpring QuizMaker and we will often put short quizzes in between the chapters of learning paths in order to anchor in the learning. Sometimes people will take the learning path over a week, and we don’t want to have all testing at the end. We also have groups set up in iSpring Learn, but occasionally we would assign courses on an individual basis. Once the course materials have been finalized, we will publish the course, and invite all the members. We usually send an email to course members first, letting them know that an invitation from iSpring is coming and what the purpose of the course is. That way, when they get that invitation, they know what it’s for. The author of the course will go back and check on the progress of the learning, and how many people have taken it. We will often send out reminder messages if we don’t see activity from required members. Most of the time we run the people activity report to see who’s taken what and how far they’ve progressed. Most of our training courses are not mandatory but some are required for certain people. For example, marketing roles who post our social media channels are required to complete the social media management trainings. On the other hand, others can also take these courses if they are interested in the topic. At the same time, some of our trainings have deadlines. For example, we did a sales training where they needed to learn a new process for lead management. We needed them to take that within a certain period of time. So for that one, we communicated the deadline, and that we will run reports and remind management. James Chiang, Global Digital Marketing Project Manager at Moxa Inc.
Are you also considering adopting online learning? Test drive iSpring Suite authoring toolkit and iSpring Learn LMS — a perfect combo to jump-start eLearning in your company.